Social Security Maximization - Safe Guard, Inc. Your Social Security retirement benefit represents a lifetime’s worth of savings, time, and work, and is most likely your oldest and largest retirement account. 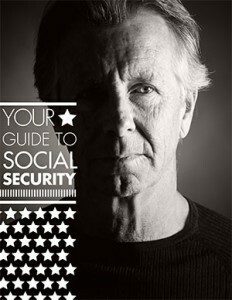 Although many Americans are familiar with the basics of Social Security, very few are able to figure out – on their own – exactly the best way to file so they can get the most out of all they have put in. There is a lot to know about Social Security, and the more you know, the better decisions you can make, helping to bring you that much closer to maximizing your benefit. We will help you get the most you can out of your benefit, so you can take one step closer towards the comfortable and happy retirement you have worked so hard for! Safe Guard, Inc. and Samuel Howard are not affiliated with or endorsed by the Social Security Administration or any government agency. Safe Guard, Inc. | All Rights Reserved. All written content on this site is for information purposes only. Opinions expressed herein are solely those of Safe Guard, Inc. and our editorial staff. Material presented is believed to be from reliable sources; however, we make no representations as to its accuracy or completeness. All information and ideas should be discussed in detail with your individual financial professional prior to implementation. Insurance products and services are offered through Safe Guard, Inc. Safe Guard, Inc. and Samuel Howard are not affiliated with or endorsed by the Social Security Administration or any government agency. This content is for informational purposes only and should not be used to make any financial decisions. Exclusive rights to this material belongs to GPS. Unauthorized use of the material is prohibited.